always interesting and often humorous commentary. Kolb’s programming champions music by living American composers as well as music that lives in undeserved obscurity. 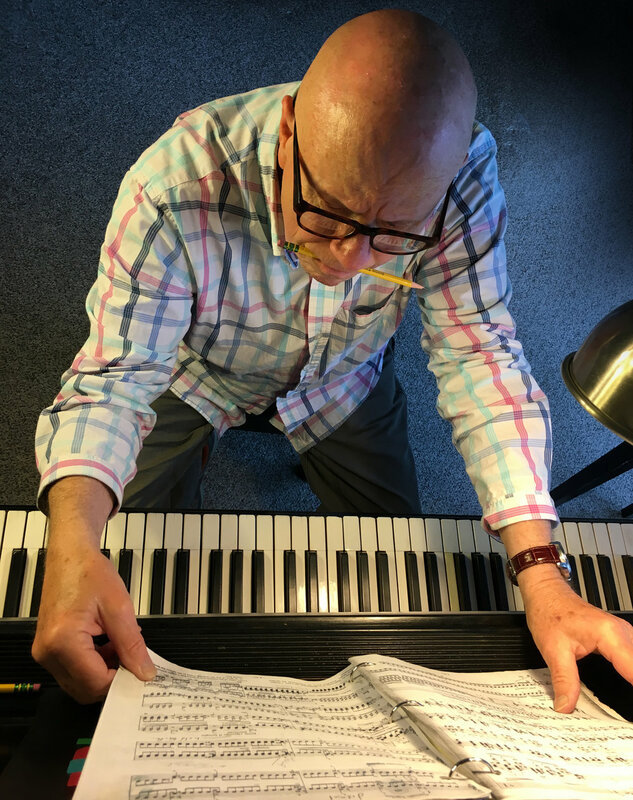 Such programming includes works by Hermann Cohen (infamous young ward of Franz Liszt) and the Afro-Cubano Gran Sonata by Cuban composer Alfredo Diez Nieto. "A highlight is A Suffolk Memory in which Kolb plays the eight atmospheric pieces with persuasive sympathy. Through this CD, Kolb confirms Ferris as a composer of unquestionable musicianship." "The performances here are thoughtful, respectful, beautiful." "Justin Kolb has become a champion and friend of the composer, and is the dedicatee of the Sonata No. 3, which he premiered at a Carnegie Recital Hall concert in honor of the composer's seventieth birthday. He plays all of the music with vigor, dexterity, and affection." "The piano program--expertly performed by Justin Kolb, who has a long professional relationship with Starer--opens serenely, with the 1994 Sonata No. 3." "Wow, can he play! From the delicacy of Debussy to the frenzy of Liszt, the orchestral sonorities of Copland to the Chopinesque dazzle of Moszkowski, Kolb demonstrates exceptional artistry in this program." "Starer found that 'as to Justin's playing my Twilight Fantasies, I felt totally and completely understood. Every tempo, every musical gesture, every nuance was absolutely right.' This disc is an absolute gem!" "He plays from the heart, with power where needed, yet with a tenderness that almost brings a sigh." A popular clinician and motivational speaker, Justin Kolb is frequently engaged by colleges and universities to present his interactive "power talks" addressing today’s critical topics: entrepreneurism, tasteful self-promotion, and community engagement. 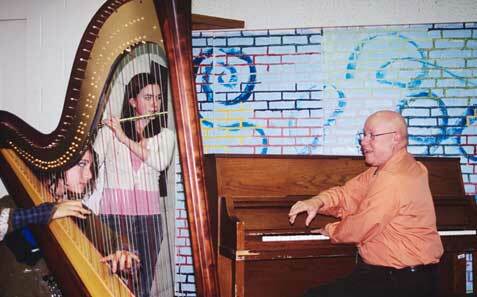 Middle, Intermediate and Secondary school programs include musical enrichment and Arts in Education presentations to a variety of audiences including students, parents and district school boards. His "motivational clinics" are both powerful and empowering. In visits to schools around the country, Kolb explains the value of studying music. "I want young people to understand how much the skills they develop will help them for the rest of their lives." Each year in addition to performing solo recitals with music of living composers as well as music of Beethoven, Liszt, and Barber, Justin presents music programs at universities and schools, and also speaking to small groups of elementary age children who have never studied an instrument. He also collaborates with students in band, orchestra, and choir programs. You are a great piano player. We don't know anybody else who can play the keys as fast as you. It was really nice of you to come to Meadowbrook to teach us about piano. we learned stuff that we never learned before. You are very nice. Thanks again for coming. We really appreciated it. How are you doing? I guess your fine. My name is Evonne and I am 8 years old. I like how you played Beethoven on the piano. I liked how you played the short parts and then when you played the rough parts in Beethoven. I liked when you rolled your eyes real fast. Thank you so much for coming to play for us. You are a really great pianoest. You really encouraged me to keep up with my violin. I have a very musical family, my mom's a singer, my dad's a drummer, my sister sings really well, and I play violin and percussion. I really, really hope you can come back! I love classical music; my favorite song is furelise, my sister can play it on the piano very good. Well, thanks again. 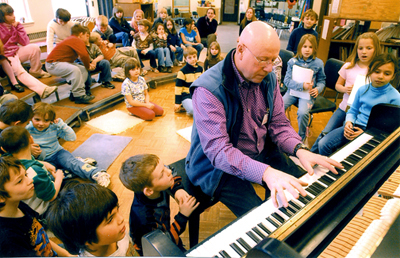 "This pianist also gives of himself to young people--he gives talks to students from elementary to college age, and spoke in several schools while in Springfield. I heard him at Springfield High, where he engaged the kids in throught-provoking conversation to make them realize just how much music study does for them in other ways. I wish every parent of a music student could have heard it!"